Do I need to see my dentist during pregnancy? Yes, every six months as usual. However due to hormonal changes during pregnancy, some women ‘s dental health needs closer attention during this time. For instance, you may notice that your gums appear to bleed more easily. 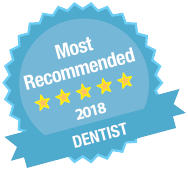 Your dentist will be able to answer any concerns you may have. Yes. There should be no problems with the routine dental care. However, as with many other medical areas, actual treatment is best left until after the birth whenever possible. Many dentists advise leaving the replacement of amalgam fillings until after the baby is born. Does pregnancy cause damage to teeth? No. There is no truth in the rumours about calcium deficiency due to pregnancy or losing one tooth for each child. What about diet during pregnancy? Some women have morning sickness which may make them want to eat ‘little and often’. Try to avoid sugary foods, as it is always important to watch what you eat and drink and how often. A balanced diet, eaten at regular meal times, can improve both your general health and dental health. Will my baby need fluoride supplements? Fluoride does help to strengthen teeth. However, as fluoride can be naturally found in some water supplies, it is important to ask your dentist whether your baby needs supplements. If so, supplements can start at about 6 months. When should I take my baby to the dentist for the first time? It is best to discuss this with your dentist first, but you could take your baby to your own routine check up. This can help the baby to get used to the surroundings. Your dentist will be able to offer advice and prescribe medicines for teething pains, and will be happy to answer any questions you may have. The baby’s own check-ups can start at about 6 months. When will my baby’s teeth appear? Your baby will start teething at about 6 months and will continue until all 20 ‘milk teeth’ are through, by about 2 years. ‘Second teeth’ usually come between 6 and 14 years. Most children do suffer some teething pains. You can apply a gel using your finger, and gently massage it onto your baby’s gums. This can be difficult due to the amount of saliva in the baby’s mouth caused by teething. Certain teething rings can be cooled in the fridge that may help. But, as teething pains can vary, it is best to check with your dentist. Can thumb sucking or dummy sucking affect baby’s teeth? If this happens continuously over a number of years, the tooth alignment can be affected. Corrective techniques, such as orthodontics (braces), may be needed when the baby is older. If you are breast- feeding, try to keep your baby to routine feeds. If not, be sure to keep any foods and drinks that contain sugars to feed times only. Don’t dip your baby’s dummy or teething ring into fruit syrups or fruit juices, or give anything containing sugars before bedtime. These can expose your baby’s teeth to harmful acids, which can attack the newly formed teeth and cause decay. Babies are obviously not able to clean their own teeth, and will be unable to clean them properly until they are about 7 years old. Until this time they will need help. You should first start cleaning your child’s teeth once teething has started. As so much time will be taken up looking after your baby, it is important that you remember to take the time to look after you own teeth. First, stand or sit behind your child and cradle their head with one hand. Use a small amount of fluoride toothpaste, and gently massage around the teeth and gums. As the child grows older it may be difficult to use this technique, but you can gradually give more responsibility for cleaning their teeth to the child. Until they can do it themselves, it is important that you clean their teeth thoroughly at least once a day. What if my baby damages a tooth? If your child has any accidents or damages their teeth, contact your dentist immediately. If this happens outside normal opening hours, your dentist will have emergency cover. Phone the surgery anyway to found out whom to call.